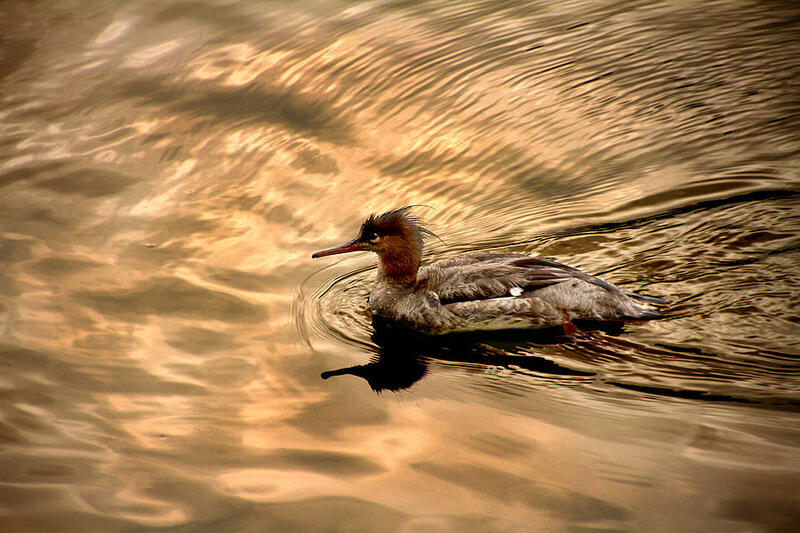 Morning Swim is a photograph by David Yocum which was uploaded on August 7th, 2015. 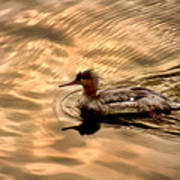 I caught this Red-breasted Merganser out for a morning swim at Putnam's Landing in Zanesville, Ohio. 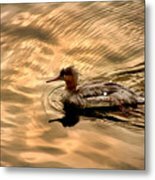 The water was a very dull grey, so I used two level adjustments to get this golden tone. Lovely capture! Love the water color and the feather details! 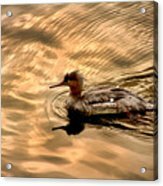 Love the golden tones ,ripples and the ducks head! Great image! I am really drawn to this one David! Beautiful hues and shot. Awesome color, light and rdflections!